The Sita Distribution Project is a public demonstration of how an artist can flourish — economically and artistically — by letting her works circulate freely and making it easy for audiences to support the artist financially. It's not about self-distribution, it's about audience-distribution: put the work out there, let people share it, give them the freedom to organize activities (both commercial and non-commercial) around it, and the artist will benefit, because audiences want to support artists. Our goal is a comprehensible, repeatable model that can be used by independent artists everywhere. The test subject is artist Nina Paley (now our Artist-in-Residence), who released her award-winning, feature-length animated film Sita Sings the Blues to the world under a totally free license in early 2009. That's free as in "freedom": anyone can make copies, anyone can sell copies, anyone can hold a screening (for profit or otherwise), anyone can make related merchandise, no one needs to ask permission for anything. Subtitles provided by audience members from around the world. You can also watch the entire film on Vimeo, Channel 13, and download it from The Pirate Bay and other peer to peer communities. This distribution model puts the artist squarely on the audience's side: instead of telling people they shouldn't share, the artist encourages them to share. But the key is to do more than just put the work out there and hope for the best. You have to set up infrastructure that makes the artist the focal point for economic activity around the work — not the exclusive owner of all economic activity, just the focal point. Instead of imposing a monopoly on the work itself (which pits artist against audience), let the work flow freely and take advantage of the one natural monopoly that comes from being the artist: attribution, that is, credit for having made the work. Audiences appreciate proper attribution, and will enforce it, because they want to be on the artist's side. Nina explains this all step by step in her piece, "How To Free Your Work". So far, Nina has made more money by this method than any traditional (i.e., exclusive) distributor was offering before the film's release. Since releasing it for free distribution in February of 2009, she's received approximately $28,000 in donations and another $25,000 in sales of DVDs and other film-related merchandise from the online store. (Note that the donations are dedicated to paying back music licensing fees she had to pay to be able to release the film at all; there's more on that here.) The average donation is a bit over $10 US (but that's not counting the rare outliers, the occasional donations of $500 or $1000 -- if you include those, the average donation is around $30). Best of all, her income stream is fairly steady. This is the opposite of the traditional "burst and fade" distribution model that so many works endure, dragged out of circulation prematurely to avoid competing with new releases from the same publisher. Because Nina's film is audience-distributed, it's in circulation forever, whenever and wherever people want to see it. And all those audience members are potential customers and donors, as the financial results bear out. Raw data: While we have to protect the privacy of donors and customers at the online store, we can release summary data and anonymized data. Please see the donations summary, store sales summary, and the store sales details. We're sharing this data in order to give other independent artists some concrete numbers about what a freedom-based distribution model can bring. Nina Paley's preliminary report from five months after the free release of her film, including the talk she gave at DIY in Philadelphia. See also The More She Shared, The More She Made by Mike Masnick at TechDirt, for a good writeup of the talk. QuestionCopyright.org is helping her — and you can help too. We want to see this distribution project succeed, as an example of how letting go of monopoly control can benefit everyone (including the artist), so we're using donations to this project to help pay back that loan, in a fiscal sponsorship arrangement with Nina Paley. 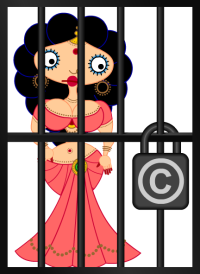 That means you can donate to help with the costs of getting "Sita Sings the Blues" out of copyright jail (see below), and your donation will be 100% tax-deductible in the U.S. to the extent permitted by law. The response so far has been tremendous, and gratifying to Nina as well. But we've still got a long way to go. If you liked "Sita Sings the Blues", and liked the fact that you can make copies for all your friends, please consider donating. As Nina Paley told us in her interview here last November, in order to release Sita, the monopoly holders for some of the musical compositions used in the film have to be paid off (yes, even though the songs were written in the 1920s). The approximate cost of this is US $50,000 (plus another $20,000 in transaction costs, such as lawyers and a rights clearance house). Nina took out a loan to pay this up front; the funds we raise go toward paying off that loan and toward other expenses related to distribution. QuestionCopyright.org takes no percentage for operating expenses; all funds raised go directly to this project. Yes, donating here is approved by Nina Paley. You can donate to the Sita Distribution Project using our regular donations page. If you choose PayPal, remember to write "Sita Distribution Project" in the notes field ("Add special instructions to the seller") after logging in. If writing a check, make it out to "QuestionCopyright.org" and write "Sita Distribution Project" in the memo line. All directed donations to the Sita Distribution Project go to that project; they are not used for QuestionCopyright.org's general operating expenses. "Sita Sing The Blues" has a lot of momentum right now. It's been extremely successful at screenings (you can hold a screening too, if you want), and the famous film critic Roger Ebert wrote a rave review of Sita. The time is right to show what happens when a film of that quality is released freely, in such a way that anyone can do any kind of screening anywhere. We're working with Nina Paley to use this as a platform for advocating copyright reform and freedom of information — and the bigger the audience, the more minds we can reach. Please help! "are available to used" -> "are available to be used"
I found this film through a FARK.com link, which led to a Roger Ebert link. Nina, it's marvelous! Thank you so much for such a treasure! Well apparently the author of this article proved one thing. People who make free content don't get paid anything or else they would not need donations. Nobody works for free; get over it, copy right laws are here to stay. I suggest you people take a microeconomics class at your local community college and come back to reality. No real director is going to make a multi million dollar film through loans, and pay them back by donations. You want free movies, watch youtube. Have fun paying off your 50,000 dollar loan Nina Paley. I doubt you'll get many donations from people that feel they are entitled to everything. Hmm. 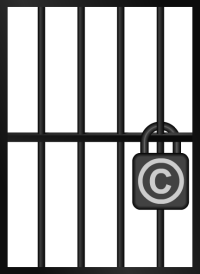 All over this site are direct responses and counterarguments to the economic myths about copyright that you seem to believe. Have you read any of that material? I just donated a few bucks, because I liked the movie. ^REALITY. Your high horse just farted. *snicker snicker* I guess some people's kids just don't know where to be grateful for what you're given and where to be happy to give. Just gave a couple of dollars too. Guess it's workin'. Thanks for the good work Nina and let's change the world! Uh-oh. The voice of unreasonable Reason(TM) strikes again. What obviously hard-won micro-economical wi$edom. We're lucky you arrived just in time to save us from ourselves, Dad. It's almost as if something about the entire creative process troubles you at a cellular level - like, anyone who writes books, paints pictures or makes films are 'against' you and your artless little world of "Well That's-Just-How-It-Is, Buddy Boy" - when perhaps the inverse is true. Maybe those who are against Everything, who spit upon the creative process and human collective dreaming, do so because the intrinsic beauty & truth behind all Art is like the sun; it's just not something anyone can control, regulate, copyright, commodify, spin, or bully others into believing is scarce. It's there for everybody..
"I doubt you'll get many donations from people that feel they are entitled to everything" - yeah, and you'll probably get even less than that from those who feel they're automatically entitled to open their mouths and demand everyone else agree with the hollow & aggressive unexamined cultural presumptions of a toxic society based on "F'ing one another over for a goddamn percentage." There's a better way for all - and artists are at its leading edge. Now that really is something you don't have to 'get over' - because they're already doing it and they're to stay..
Good luck w/ your project Nina! Your comment begs the question: do consumers WANT multimillion dollar films? some of my favorite movies were done on relatively small budgets. and anyways -- she's not getting paid -- the whole reason shes taking donations is because the ridiculous copyright laws forced her to pay to use old songs. I have to agree, some of the best movies AND music are low budget. You just have to know how to find them. Too many people don't search for there art or music and they end up with what's given to them. Re: WOW .. and I was there when it all got started! >> People who make free content don't get paid anything or else they would not need donations. Though not exactly the same thing, a very similar model exists with computer software. Check around and see how many people get paid to use, extend, and contribute open source software. A great many do. A major difference here might be that Nina is currently essentially the only artist for Sita Sings the Blues. Most open source software projects of any signicant size have a small number of main authors (sometimes only one), but many projects eventually grow to encompass many. Another difference is that Nina probably considers Sita to be done. This is true for some software, but software that replaces that functionality essentially replaces the original. Most open source software is almost always considered to be in a state of growth (because people want to add features or fix parts of it). Meanwhile, whether simple or complex, people tend to savor existing works they liked. However, in time SStB might morph enough times or there might be variations that even Nina might prefer ( ;-) ). SStB (R) will eventually involve a large collection of stories and retellings. One work might even focus on the events of Sita's 100th day of marriage, etc. Lot's of new stories very divergent from the original tales might come into being. .. new characters. Look, we need Mickey and Co to be replaced since they are not free. We'll get Sita shorts. Don't look inside the Guinness Book of World Records. Stay away from the tube during the upcoming Summer Olympics. You are bound to be insulted by what many amateurs get away with doing in public. Nina might get a gig adapting characters or scenes from SStB for commercials for some business or other. She might call that work. She would get paid. >> No real director is going to make a multi million dollar film through loans, and pay them back by donations. Using the open source software model, we can see that very sophisticated software can get created over time my many cooperating. For films and similar works, we would have designers in one part of the world, script writers in another, and many more serving to film, model, etc. We'd have many variations. Some would be a bit like Frankenstein if standards weren't set and followed, but there would be lots of interesting variations nevertheless. Sophisticated movies tend to use a significant amount of computer processing. The trend is towards computer aided effects over more and more actors or expensive materials, but open production can accomodate all styles. When broken up into pieces, not that many people need to have expensive equipment, for example. Lots of people would participate to be "extras". We would even find actors around the world (perhaps with some makeup and other aids) that would look very similar to each other and could create different scenes of the same characters. And what business would not contribute cash towards producing a few scenes if they were filmed near the business location and they would get credits they could leverage? Yeah, people will never pay anyone real money to help them huck their wares. And Nina can later do talks and workshops and many other things to engage with other artists and admirers who would pay for a good day out. Don't forget the commercials and custom animations.. oh, and the merchandize. Nina having gotten in early will obviously present some special opportunities in time. Then again, she will have to experiment more than most will as best practices get established. The Adventures of Baby Sita. All ideas `belong` to everyone, individually, collectively, and totally. Copyright and other intellectual property protections restrict the development of ideas, and even the development of the `original` creator. Such protections exist only for commercial purposes - and those commercial purposes are warped and, in human, societal, and environmental terms, actually damaging. Every idea any, and every, one of us has is as a result of the stimulus provided by our exposure to the environment and the culture in which we exist; they are the result of all the other ideas `of and from others` which have been put into us (however, we might then have processed such information). As each new rung of the ladder is added to by a new and `novel` idea it is dependent upon all the rungs that preceded it ... and even stepping sideways into a `new` paradigm is dependent upon all that constituted the paradigm that was stepped across from. So, I have and idea, I create a `work`, emergent from all that I have assimilated - from the world, and thus too others - but to then take the stance of don`t you dare `infringe` on `my` unique, personal and `independent` work ... does not really hold up to truly objective scrutiny. It only holds up under a perverse and restrictive commercial perspective. A good few are waking up to this notion now - realising that the completely free-flow, unrestricted and non-commercial distribution of all, `all`, knowledge and of all contributions to existence is fundamental to genuine growth and development (of the race, the species, of comprehension, and even of evolution - not the insane and destructive growth of economics and commerce). "All texts and images plagiarized and rearranged by collective process. Anything composed in any language is obviously the handiwork of the millions who developed the words and ideas that constitute it, not just the experts listed in the credits. Please reproduce, translate, and adjust this and all books at will, with or without citing sources." [Crimethinc `Expect Resistance - a field manual`]. To add a final irony to the rule-obsessed, conventionally programmed, jobs-worths - people are also waking up the grand illusion of money itself and how that is a core component in misdirection, confusion and control; economics is not, in any of its guises, a science - it is larely an apologetic for some political or vested interest stance that is intentioned on priviledge and control (this is in part evinced by the fact that there is no actual Nobel prize for economics ... the so-called prize is actually 'awarded' by the banks, via the Sveriges Riksbank Prize in Economic Sciences in Memory of Alfred Nobel, and not by communities grateful for the egalitarian improvement in social conditions that some economic theory has provided - even the Nobel family criticise the existence of this 'award'!). There are 'gifting' communities growing up all over the World, both as distinct communities and as 'tacit' aspects of 'conventional' towns and cities; that is people who do for others not on the basis of 'Local Exchange Trading (LETS)' or 'Skill Swaps' or any form of obligation, accounted, or contractual arrangement, but purely on the basis of 'if I do something for or give something to you, maybe you'll do something for or give something to me or another'; and it works! Personally, I now exist almost totally free of the need to use money for anything other than the pressured aspects of 'the system', certain services, and for entertainment - yet live a technologically supported lifestyle far in excess of many of those who - while confronted with the reality - tell me it can not be done!? (By way of e.g. : home bio-diesel, green and free fuel - thermal solar, a few old pipes and off-cuts, green and free heat - extrapolate across food, power, water and anyone with any wit can see how needs can be met with a tad of ingenuity and in coordination and cooperation with those of like mind). Thus with the reduction in costs and the availability of cooperation my 'disposable monies' make me appear to be extremely well-off. The consequent reduction in my 'need' for money allowed me to do more for others simply because I wanted to and could ... this it turned out was a positive feedback loop; doing things for others without pressure or obligation gave them more latitude and, however long or short the chain of connections, people just started doing for me. It's so simple and so effective that it seems to defy all comprehension by those obsessed with 'return', 'profit' or 'value', or anyone who either regards themselves as more deserving than others or who is unable to accept that diversity is actually resource and that alternative and non-conformist views are in fact vital for a healthy gene and meme pool. If the 'common (wo)man' can continue to communicate across the globe with his/her fellows then the political, corporate, and financial illusions will eventually find it impossible to sustain themselves and, hopefully, one day none of us will need to know about the nonsense of narcissistic or megalomaniac leaders, rules of control or ever consider the concept of money, cash or payment. But for now - Cheque en route Nina! Is there any reason why the raw data files links are now error 403? Should be accessible now; please let us know if you still can't reach them. I wonder why I am annymous? I'm ELTON JOHN ROBB. And I make no apology for this! Nina, I feel inspired by your business plan that I'm copying it with my own work! I love your business plan with Sita Sings the Blues, and I'm going to do with my Dungeons and Dragons campaign world! The plan is short, and to the point, and doesn't need a thousand pages to write. "copying is absolutely the best way to flatter someone"
Couldn't agree more. In fact the whole concept of copyright is kind of weird. Just to think what would have happened if copyright/patents were present when major inventions were made. What would have happened if say the wheel had been patented. Coming closer to our civilization, what would have happened if insulated walls or flushing toilets were to be given exclusive rights to someone. This might sound ludicrous bordering on insane, but my core point is that the progress of the whole civilization depends on people copying other peoples smart/great/wonderful ideas. And, of course, copying is indeed the absolutely best form of flattery. Where can I download the music by Todd Michaelson used in Sita Sings The Blues?, the only links I have found are for toddmichaelson.com, but the music on there is under copyright and I have to pay for each track. Can anyone help me find the Todd Michaelson tracks for download? But I encourage you to buy the tracks from Todd Michaelsen's site if you can -- he's a hard-working musician and the more support he gets, the more great music he can make. purchases of which support Todd and the other living artists. So for what All the drama........all the scene create? To buy the track not to get it for free.....lol! Wow, so this guy is like 90 years old, and still making royalties. Well at least he's doing something and not just sitting there watching Jeapordy, waiting to die. That's the soundtrack of the film, some are of Todd Michael. The caged image of Sita represented above more than signifies how something held in captivity would react when given freedom, it simply wouldn't know what to do or where to go, it would simply go wild. Animals, Humans, Art, and the Internet all follow the same path, when the shackles are off, everything follows the same pattern - chaos!. If there are no rules to follow there is nothing, if there are no rules to bend or break there is nothing, freedom comes at a price, and there is nobody on the planet that has anything of any value that will cover that price. The "Results So Far" numbers appear to be outdated enough that they're misleading, at this point: it says "Since releasing it for free distribution in February of 2009, she's received approximately $28,000 in donations and another $25,000 in sales", which was written 9 months ago!). Looking at the updated, broken-out records, it looks like the actual numbers should be about *twice* that for both figures: it looks like Nina's actually been taking in about $3,000 per month (consitently) just from questioncopyright.com sales; and dividing out the Fund-o-Meter gives 65.9% * $70,000 > $46,000. $100,000+ over about 18 months is a *smashing success*--especially if the influx is still steady, and ESPECIALLY when the numbers here are not even counting speaking-engagement fees, new-work earnings following from the professional-reputation boost that unconfined distribution gives, or proceeds from other sales-venues or endorsement-contracts. The current text here is advertising *half* of that, though--which is a lot easier to say "piffle" to (e.g. : "$28k total donations, and only $15k/year in actual income? Piffle! "), and the math works out even worse with every passing month as the numbers get more stale. LinkTV broadcast this film Tuesday, Jan 18th- I happened, luckily to see it for the first time. Ms. Paley's creative achievements are tremendous; its transcultural references in themselves form new communities of thought and understanding among its viewers. Enchanting and technically brilliant. I felt resucitated as I watched, brought back with a beautiful crash to the idea of content creation as I initially understood it. I am a filmmaker, and after slogging through commercial feature and television productions for more than a decade, encountering Questioncopyright.org is a restorative experience, another way of approaching what often appears a difficult limitation on our imaginative output. So thank you for this tremendous resource for content creators. Such a vague, obscure movie and still there is so much noise about it. It shows the obsession of western world to mock the tradition and culture of developing countries. Wow. I can't imagine a more wrongheaded insult. Ignoring your inappropriate use of the term "vague," your politically correct little screed indicates that you haven't seen the film at all. It was created with the full participation of actors from the "developing country" of India, who probably couldn't care less about your condescenscion. I'm a liberal myself, and I'm growing increasingly weary of the "white man's guilt" that purports to care for the culture and people of "less developed" countries, all of which really don't need your patronization. Jsut watched this again. What a great fun film!